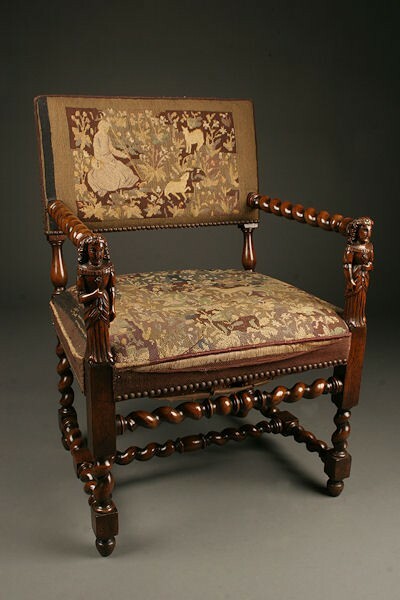 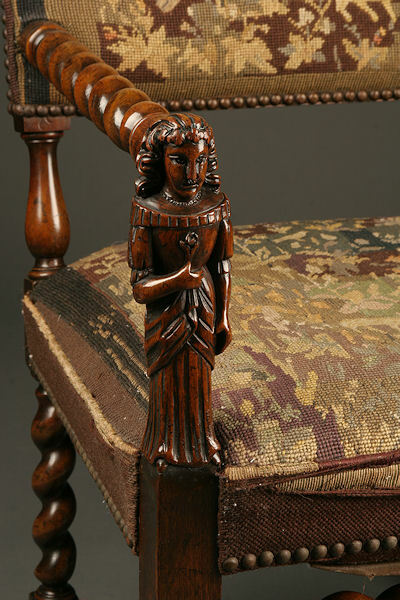 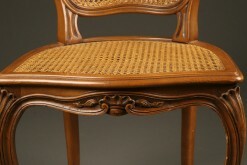 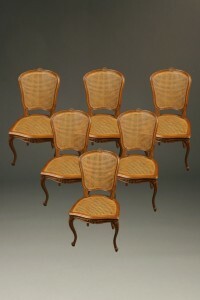 17th century style French armchair featuring rope twist frame with carved figures on arms in the style favored by French Royalty. 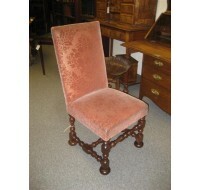 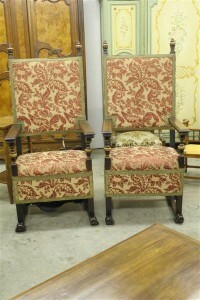 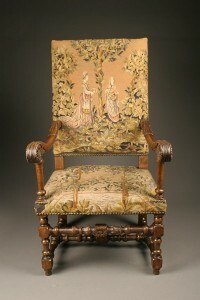 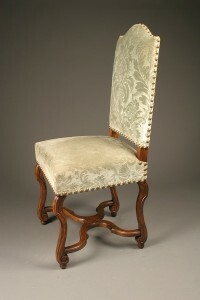 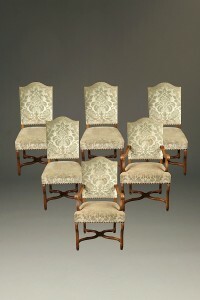 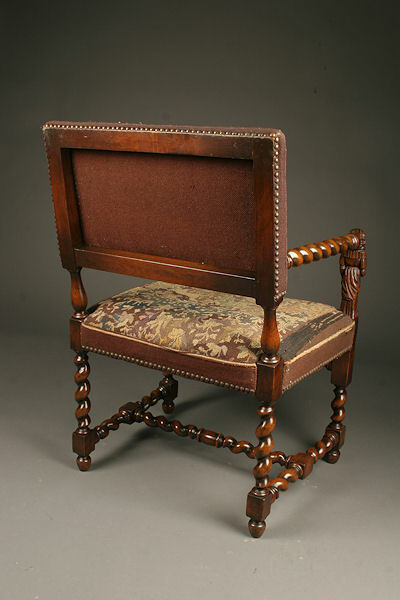 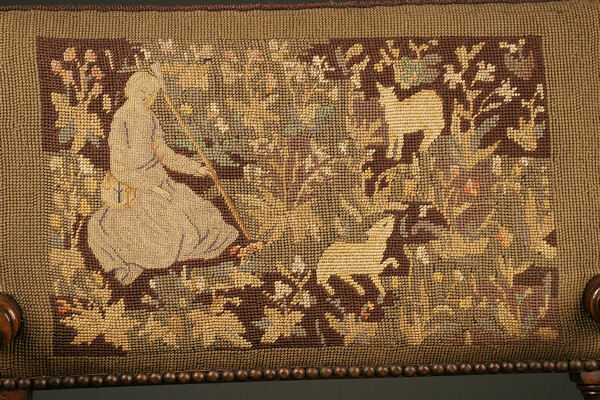 Original needlepoint upholstery also in 17th Century motif. 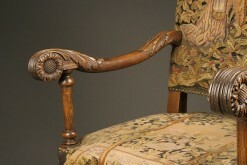 century1870.